Get the Solar Powered LED Gutter Lights (2 Pack) and light up dark corners. 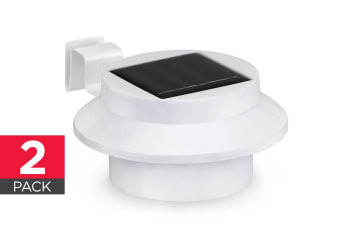 The Solar Powered LED Gutter Lights (2 Pack) is very easy to install and use. Ensure you position these lights against your gutter and fix securely with the provided screws. Voila! You are done. 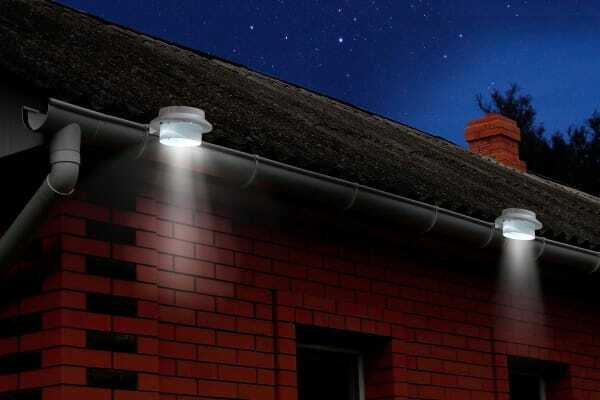 The Solar Powered LED Gutter Lights (2 Pack) runs on solar power and are low on carbon footprints. They help you save money and are efficient on saving energy. Place these gutter lights in the sun and they are ready to be used. You dont even have to turn them on. The in-built sensors will take care of that and turn on as soon as they detect low light or darkness. Dark corners breed safety hazards. Leave no stone unturned to make the surroundings safe. Light up the dark corners and increase visibility around your house. 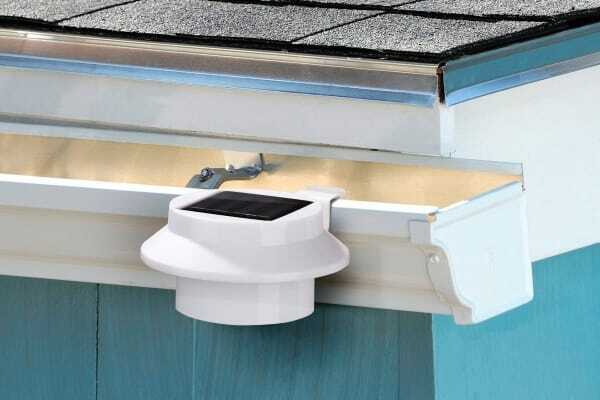 You can use the Solar Powered LED Gutter Lights (2 Pack) near your front porch, or other areas which are low on light. Now, you need not worry about tripping on something or fumbling for your keys near your front door. The lights were easy to yo install and they work beautifully. Would have liked them to be movement sensor.